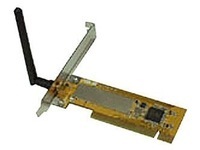 ASUS WL-130 802.11b Wireless PCI Card is based on Ralink RT2400 series chipset. Download, 202.26 (KBytes), 2004/09/10 update, (driver only, no utility). The ASUS WL-130 PCI Card utility progrm, Support Windows 98/ME/2000/XP/2003. Download, version 1.9.8.1; 5.68 (MBytes), 2004/09/10 update. Asus PCI-G31 802.11b/g Wireless PCI Adapter Drivers, Utility and Manuals.